Discussion in 'Sevenstring Guitars' started by Imalwayscold, Feb 10, 2019. NGD! It's certainly been a while. I'll skip the small talk but when the new XL series was announced I knew that I would be getting one. Here she is with my old faithful 1077. 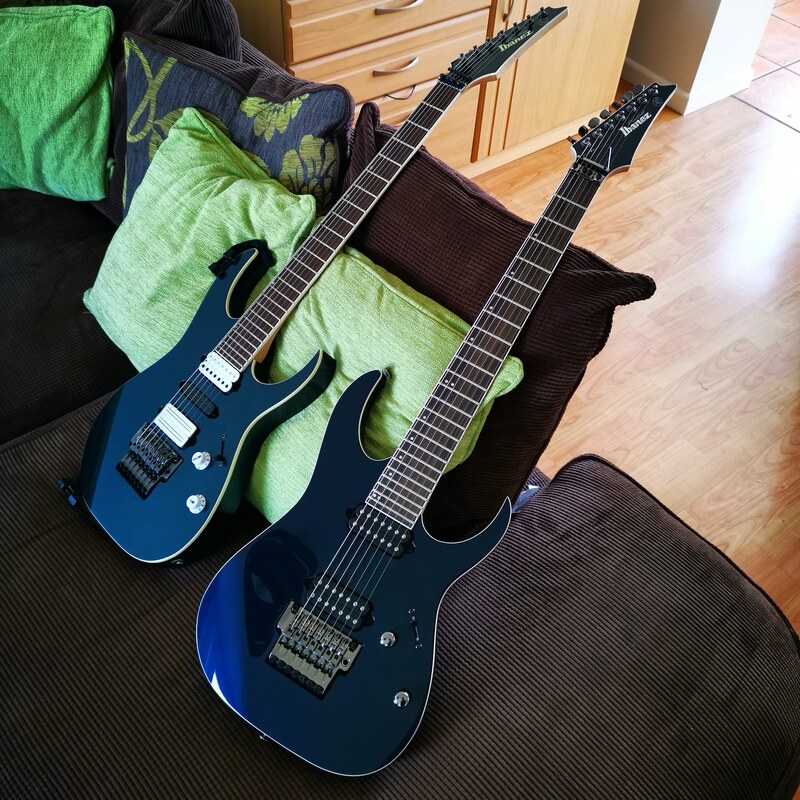 The main difference (other than the absence of a middle pickup and now a matching headstock) is the neck certainly feels bigger than the older model. 77zark77, The906, dirtool and 19 others like this. Imalwayscold and aesthyrian like this. Nice... could you elaborate on that neck difference, please? What do you mean with "it feels bigger"? I play music and odibrom like this. 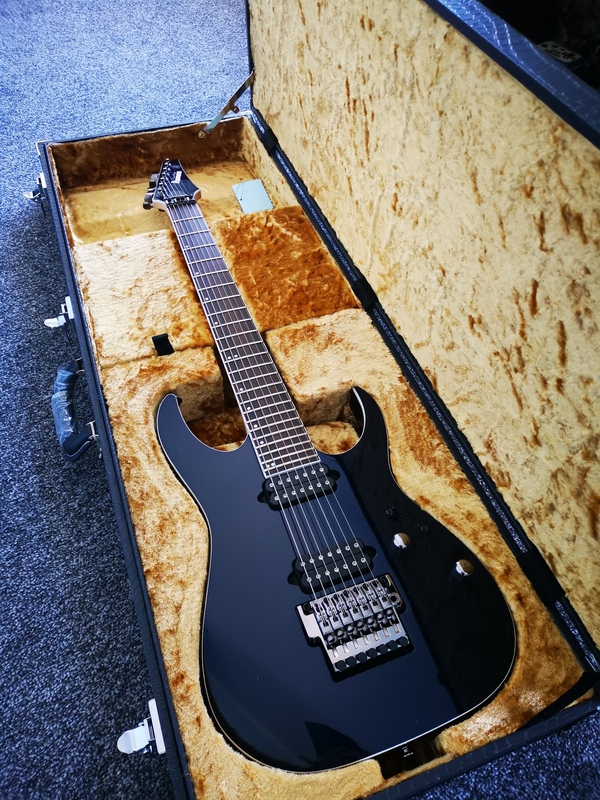 Happy NGD, 2019 Ibanez is killing it! Are these cases only for that model or replacing the red interior moulded cases? That thing is a monster! HNGD! Is it actually the same blue as the 1077XL? Almost looks like it. From the first photos I thought it would be a different blue. I purchased an identical case from a friend for my 1077,who got his with a RG852 so I guess its being used for their 27' scale instruments. No it's darker, almost with a purple hue. Looks great! I really like the case that comes with these too. Happy chuggin! These are the newest version of the "extended" cases that have shipped with just about all MIJ 27" scale and 8-strings since 2007, with the exception of the RGDs which had the blue lined UV1000C cases for awhile. setsuna7 and Musiscience like this. Thanks for the reply! They look like really nice cases. I had an RGD a few years ago but it came with the regular red interior molded case. Yeah, for some reason the RGDs never got these, even though they work in them. Just blue lined UV1000Cs for a year or two and then the standard TJC cases. The original RGXLs got UV1000Cs too, so it's cool they went for the "upgrade" to the extended case. Musiscience and setsuna7 like this. Looks great! Any issues you've noticed yet? Soo tempted to get one myself! Whered you buy this Thomann? I've been looking and apparently they arent supposed to hit UK stores till July. wow, that looks nice. 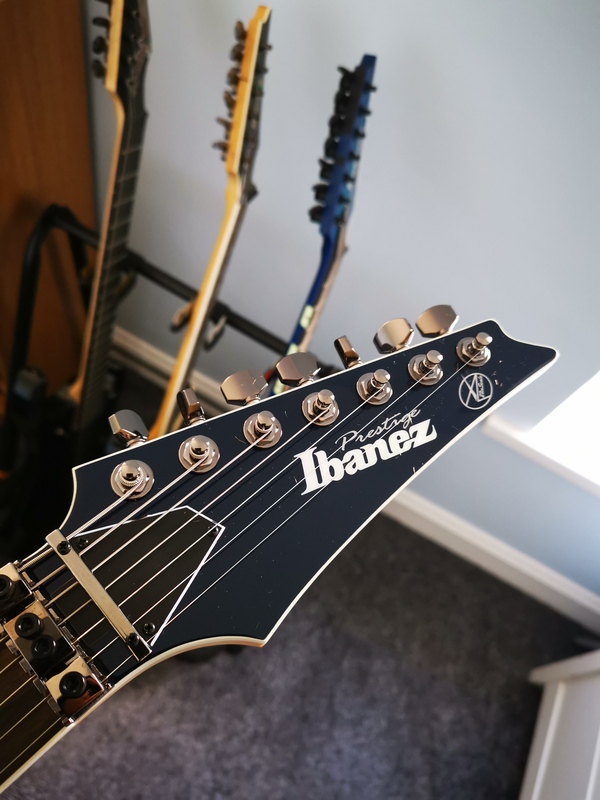 the fretboard looks way nicer than on the ibanez stock photo. Can you upload a close up of the fretboards of the 1077 and the 2027?